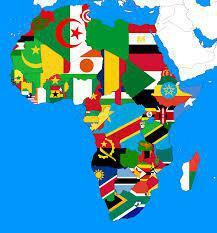 This week we held a whole-school Africa Week. The first thing that we did as part of this special themed week in Year 6 was to find out more about the continent of Africa. These included Cameroon, Ivory Coast and of course The Gambia. We made flags and completed maps with coloured keys. Individually, we also researched an African country and completed an A3 fact file about it. We included the capital, population, currency, location and as many interesting facts as we could. We were also very lucky to learn some African drumming and dancing with Sue and Julie which we really enjoyed! As part of Africa Week we also learned about what it was like for a school-aged child living in Zimbabwe. Their day was very different to ours, especially as they leave for school at 6.15am! We made books and information posters about this, in addition to making them about our typical day in the UK. We will be sending these to Bijilo Lower Basic School in The Gambia so that they can find out more about our school day. We hope they like them! After Mr Bolam came into our class to share about our link school in The Gambia, and the lack of resources that they have, we decided to make them some maths and literacy games that they could use. These included ‘Number Bingo’, ‘Street Race’ and ‘Start to Finish’. We hope they enjoy playing them and learning at the same time! Finally, we created our two pieces of art work using batik. We really do hope that they enjoy seeing them on their classroom walls. We just didn’t have enough time to complete everything that we hoped to this week, so we think that Africa Week will extend into next week too!